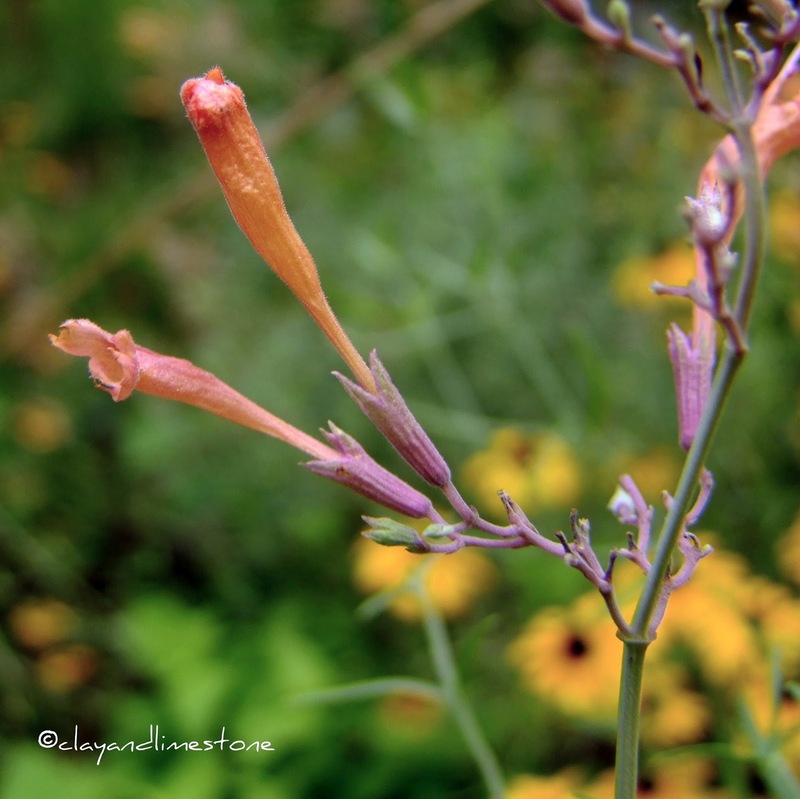 clay and limestone: The Water-Saving Garden book party and giveaway! The Water-Saving Garden book party and giveaway! Like a lot of people who garden where there's an abundance of rainfall, I took water for granted. I'm not exactly sure when I really began to notice the change in our weather, perhaps, it was the summer when our pop up showers disappeared or when the fall rains didn't happen. This pattern continued and summer gardening became a chore of dragging hoses around to save the spring planted flowers and shrubs. Our summers have always been hot and dry, but, this was different, weeks would pass by with no rain. It was time to take seriously the intense rain events followed by drought that climatologists were predicting for much of the Southeastern USA. Extreme weather was going to be the new normal. Water management had become an even bigger deal in my garden than it had been before. I no longer wanted to drag hoses around, pay huge water bills, or continue to contribute to the storm water run off issues. It was time to step up the water-saving solutions. We had already dug a dry stream bed in the back garden to divert the heavy winter rains that flooded our patio. We laid soaker hoses around the native azaleas, witch hazels and Iteas that needed extra gulps of water in the summer. A rain barrel was added to the front garden to easily water any thirsty plants in the woodland garden. There is more to do, I call them our someday plans. Someday, I hope to have a large cistern to capture enough rain water to take to care of much of the garden's summer water needs. Someday, I hope to remove sections of the asphalt drive to increase permeability. Someday, I'll have a second dry creek bed dug in the front garden. Someday, I will have gravel paths in the front garden. The smartest thing that I've done at Clay and Limestone was to honor my garden's sense of place and plant what I knew would not only survive, but thrive here. I garden in the Central Basin of Middle Tennessee, in a dry Oak-Hickory forest community with areas of extremely shallow soil and exposed limestone. The shallow, nearly neutral clay soil is hard as concrete during our dry summers and wet and sticky during our rainy winters. Plants have to be rugged to survive in my garden. Planting native wildflowers and shrubs made sense, after all, they had evolved and adapted to our wet winters and dry summers. I still get seduced by a pretty flower face but, I've learned to plant those xeric beauties in containers filled with sharp draining soil. I'll continue to lust after Virginia Bluebells, but, plant Shooting Star instead. I learned the hard way that it's much smarter and easier to embrace the unique characteristics of a garden garden rather than fight them. It meant accepting that my garden would not be as lush or as floriferous as I want it to be. Instead, I have marvelous spring lovelies, golden summer flowers and the best purple and blue autumns. I can live with that. The garden has its own beauty, enhanced with containers, hardscape and easy to care for native plants. Of course, there are a few native friendly exotics that make sense for my garden conditions. Gardening in tune with my cedar glade like garden has made me happier. It has also made my garden easier to care for and a whole lot more fun. 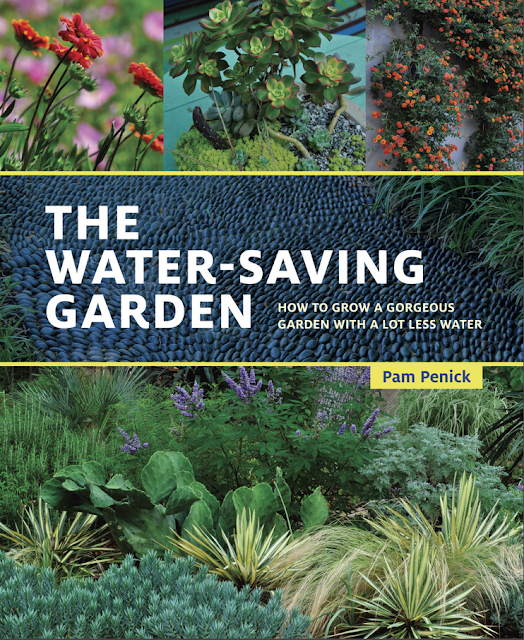 Which brings me to Pam Penick's new book, The Water-Saving Garden. Pam introduced what I think of as the underlying theme early in the book when she stated that all it takes is a willingness to garden in tune with local conditions. It took me years to figure that out, but once I accepted that piece of wisdom, gardening was a lot more enjoyable. You won't experience Pam lecturing, instead, she inspires readers to reach that same conclusion, by providing, beautiful garden examples and helpful and practical how to information. I think you'll enjoy Pam's book as much as I have. I've been a fan of her writing for almost a decade and this book is as inspiring as every tour I've taken on her blog Digging. If you're a regular reader you've come to expect good photos and this book does not disappoint. They support the chapter topics, while illustrating the point that gardens can be gorgeous and water-saving. Here's more information to tempt you. Part 1 is a tour of seven beautiful water saving gardens. 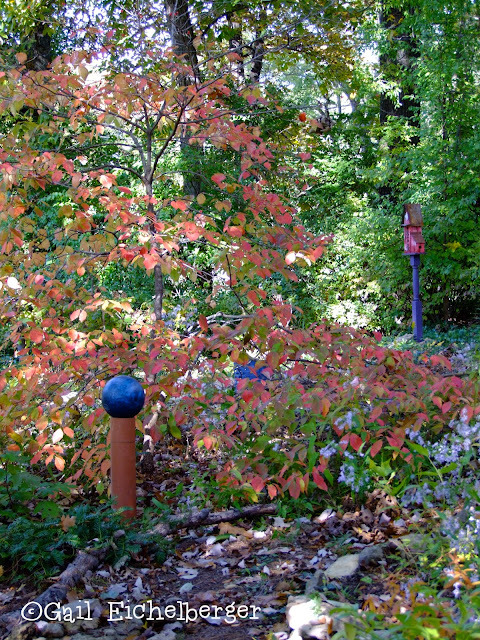 I loved them all and was quite taken with the Gravel Garden at Chanticleer in Pennsylvania. They get plenty of rain, but anyone who gardens on a slope or hill knows how dry they can get. Examples like this spoke to me and will to any of you who might be wondering if this book is for you. Part 2 is practical information about tried and true water saving techniques. If you wondered what to do in your garden to manage rain water, this section is the place to start. I learned a lot, for instance, I didn't know that my small walls have been serving as check dams to stop the flow of water or that making a curb cut in them would help move water off the driveway and into that garden bed that actually needed the moisture. Part 3 is all about plants. What to consider planting; when to plant; where to plant; how to plant; native plants; and, container plants. It's chock full of extremely helpful information. If you're a native plant enthusiast like me, you'll enjoy the section on designing with natives. Part 4 will speak to those of you who garden in dryer climates and "want to evoke the illusion of watery abundance". I garden in a wet climate and this chapter still spoke to me. Dry creeks, mosaic patterns, mirrors that mimic ponds~all beautiful. Part 5 is a list of 101 water saving plants for your garden. 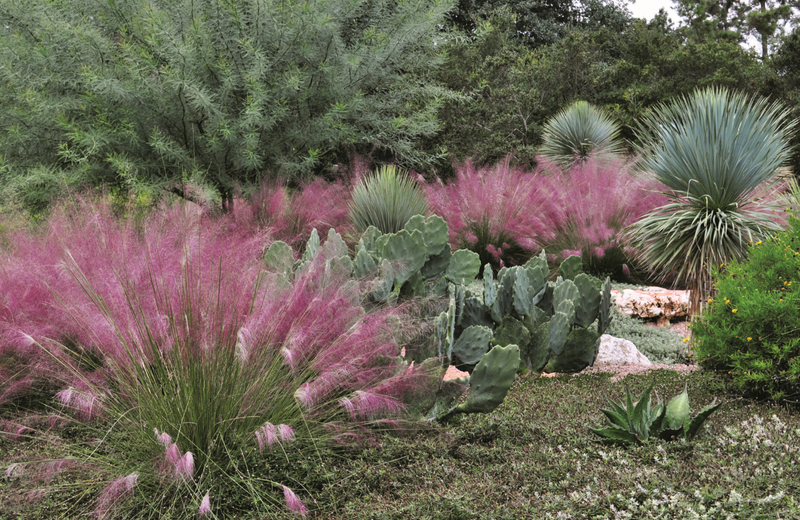 There were plenty of plants on the list that I include in the dryer, sunnier parts of my garden, but, this is plant heaven for those of you gardening in dry climates. You're all invited. Seven fantastic bloggers from across the US are participating in this Book Party and Giveaway, each of us is offering a different prize. Follow the links to each blog and leave a comment on their for a chance to win a fabulous prize. The giveaway will run Feb. 29-March 7. The deadline for entering the drawing at Clay and Limestone is 10PM, Sunday evening, March 6, 2016. I will choose a winner using a random number generator. The winner will be announced Monday, March 7, 2016 on this blog. One entry per person per giveaway. You must provide a valid email address when you comment. Winner must reside in continental U.S. for shipping purposes. Winner must contact me to provide his/her address within 5 days to claim the giveaway; otherwise a new winner will be chosen. WE HAVE A WINNER: EVAN WAS CHOSEN IN A RANDOM DRAWING. CONGRATULATIONS AND HAPPY GARDENING. 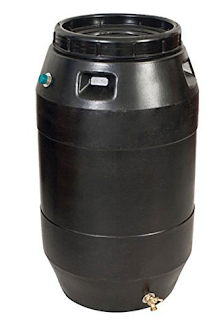 I'm giving away a black Epoch Rain Barrel. I have this barrel in my own garden. Epoch Solutions rain barrels are repurposed or “upcycled” high quality food-grade drums that were destined for a landfill. Leave a comment below, including your email address to get in the drawing. Here are the links to the other prizes! Digging, Pam is giving away a $100 gift certificate from High Country Gardens. Good luck and thanks for stopping by to party and celebrate Pam Penick's new book. I moderate comments after 5 days, so if you don't see your comment immediately it's only because I haven't published it. Photos reprinted with permission from The Water-Saving Garden, by Pam Penick, copyright © 2016, published by Ten Speed Press, an imprint of Penguin Random House LLC. Photographs copyright © 2016 by Pam Penick. Your garden is so nice Gail. I think we all have those 'some day' plans. As a matter of fact I have a long list of those 'some day' plans. ha... I too think the rain/water situation is becoming an issue even here in SW Indiana. Farmers pump so much out of the water table, the rains barely fill the rivers and the times of the year we expect drought become longer and longer. A scary situation. You are smart, Gail, re: honoring your sense of place. I love your dry stream bed - it looks great. I'm still wrestling with too-much-rain/not-enough-rain in my yard. I should be able to get some great ideas from Pam's book. It gets dry here in the piney woods. Would love to try out a rain barrel. I am looking forward to this book. I really enjoyed and learned so much from Lawn Gone. Way to go, Gail! Thank you for being a leader in offering help in this area! I do have rain barrels already, so I don't need to be in the drawing... but have fun concluding this event!!! Hugs! I've been using rain barrels for years and they really help with my veggie garden! What a pleasant discovery your blog, Gail. I would be one happy winner of the Epoch Rain Barrel; my gardens would too. Thanks! Love your dry creek bed! Glad to have been pointed over to your blog! I've got one lowtech rain barrel that has been especially great for things like topping off the stock tank pond, watering plants like blueberries and roses that prefer acidic soil, soaking bare root plants before planting, etc. It doesn't stay full long here in the summer, when there's so much time between rains. much enjoyed some different and wider views of your enchanting garden, Gail! Great prize! A good partner to the new book! Looking forward to reading it! "I learned the hard way that it's much smarter and easier to embrace the unique characteristics of a garden garden rather than fight them." That isn't always the easiest lesson. Pam's book sounds like a great resource for gardeners everywhere. I've been meaning to get a second rain barrel, so perhaps I'll just win this one and save myself the trouble! I decided to use several smaller rain barrels rather than one big cistern for maintenance; I can easily handle a 55-gal barrel, but 350? Not so much! I have two already; this would be a great addition. 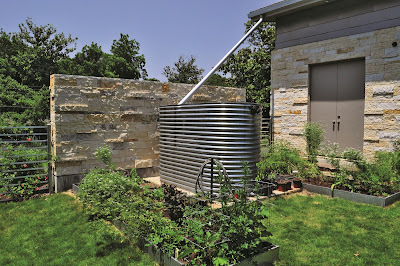 A rain barrel would be just the thing for our house and garden. Thank you for this opportunity! As I am getting older, I don't want to have to drag hoses around too much either. A rain barrel near my water-thirsty plants would be great. Thanks for hosting this giveaway! My first rain barrel was a recycled plastic pickle barrel from a local food service company. It still smelled like pickles too. Thanks for helping throw a party. I live in a very dry climate and love gardening. Water is always an issue. This rain barrel would be a great way to put nature's offerings to good use. I have always wanted to try one, summers here in coastal massachusetts are very unpredictable, I'd love to have the rain barrel to save on watering costs and recycle. Gail, your images perfectly illustrate how lovely and in tune with the wider landscape a garden can be when planted with natives and well-adapted species that don't need much fussing over. Thank you for the thoughtful and detailed write-up about my new book, and for hosting this giveaway. 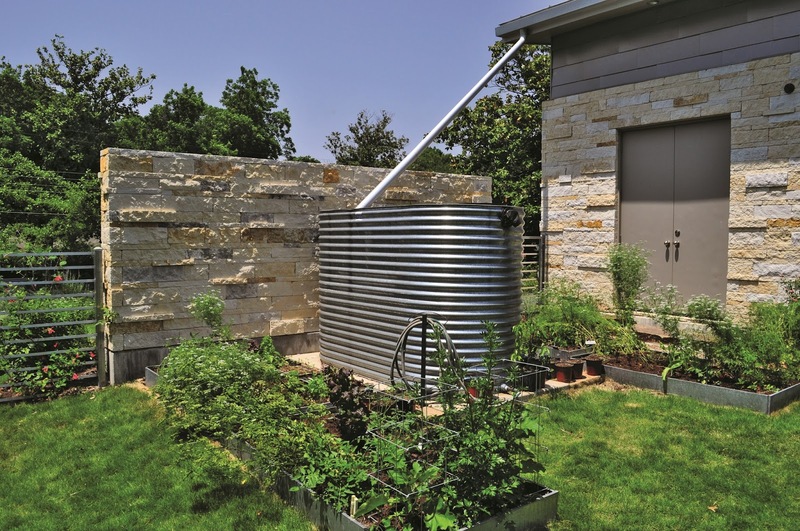 Isn't it a funny coincidence that you already have this exact rain barrel in your own garden? Missouri clay and limestone is very similar to Tennessee. I have 3 rainbarrels, after this past month which was the 2nd driest ever for us, I'm thinking I will be needing them this growing season! Pam's book looks inspirational and I like your photo of the agastache very much. Your yard is spectacular! I am trying to get mine looking more alive. Count me in on the fun! I can't wait to get my hands on Pam's book! sorry - forgot to put in my address above. suz in ohio is farmprint@yahoo.com. thanks again. I am looking forward to Pam's new book as I enjoyed the first one so much. I am so excited to learn about this new book, which I plan to purchase and read. I love planting in the spring but then I abandon my garden because I hate dragging around a kinking garden hose in the hot humid summer and feel guilty knowing how thirsty my plants are. Thanks for sharing this book, Gail. Something like this would be perfect for collecting rain water off my garage roof which also happens to be where my garden is :+). Even as anonymous, I am Gwen rose as the email implies. Enjoyed the blog. Thanks for the chance on the rain barrel give away. Would love to have this wonderful book! Well thought out - great info - beautiful pics! Love the idea of giving back to nature. Beautiful book. Would love to own one. Thank you. I'd love a rain barrel in our garden! Your dry bed creek looks wonderful! And the rain barrel will be very useful in my garden. Like you, Gail, I've discovered that most of the best performers in my garden are native plants that don't mind the solid clay soil that turns to muck in spring and then bakes to concrete in winter. Switchgrass, eastern red cedar, purple coneflower, arrowwood viburnum - these are the sort of beautiful, useful and easy-care plants that make gardening a delight. We've had such a dry winter in ATX. I am so impressed by your gardening accommodations Gail...you inspire me! A rain barrel would be a nice addition to my garden. Beautiful rain garden, I will have to make one in my garden. Gail, Thanks for sharing your gardening wisdom with us! I garden San Antonio "style" when in Texas winters. Quite a change from your neck of the woods! Thanks for entering me in Pam's giveaway contest! Gail, thanks for your posts. I garden in Texas and it's always fun to see how others garden in other zones. Thanks for adding me to Pam's Giveaway contest! another rain barrel would be great, and food-grade quality to boot. avstrokesurvivor at gmail dot com. Enjoyed finding your website. Good idea about the giveaways! Looks like a great rain barrel! I'm finding that it seems to be hotter, colder, wetter, dryer, icier, snowier, less snowy - never knowing what to expect. But, as you say, if you honour the soil, your geography and can figure out what was there in the first place and plant those natives generously around the garden, you'll always have something to draw the little creatures. From year to year - they may be larger or smaller - but, they always come back. Zone stretching may be a sport I'm unwilling to play any more no matter how beautiful the blossoms may be.